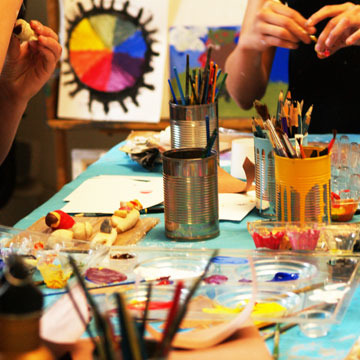 Studio 1.6 Art Camp reinforces learning all year long providing quality art instruction engaging art projects that encourage creativity. Suitable for all levels - differentiated instruction available. Students can attend multiple weeks, there will be no repeated projects. "This has been my daughter's favorite camp during non-school times - even at a fairly young age she loves having the space to create with different mediums and the guidance to continue to develop as an artist. When she comes home she proudly shows us the new additions to her portfolio each day. And most importantly, she has fun."